We have assembled a truly remarkable group of doctors, veterinary technicians (nurses) and support personnel. Our board-certified specialists and emergency clinicians have been selected for their uncommon skills in the areas of emergency and critical care medicine, neurology and neurosurgery, oncology, orthopedic and soft tissue surgery, dentistry, cardiology, internal medicine, physical rehabilitation and sports medicine. 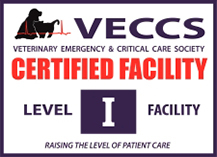 CVRC’s veterinary technicians, essential to superior patient care, were chosen for their dedication, compassion and years of clinical nursing experience.